Singapore Post (SingPost) is facing yet again the challenge of finding a replacement for one of its senior executives, following the surprise resignation this week of Marcelo Wesseler as CEO of SP Commerce. Marcelo Wesseler (left) and Dr Wolfgang Baier. ´SP Commerce is the integrated entity of SingPost's former e-Commerce division, SingPost e-Commerce, with U.S.-based e-Commerce provider TradeGlobal Holdings, and the company's U.S. unit, Jagged Peak Inc.
Paul Demirdjian, currently the president and CEO of Jagged Peak, has been appointed interim CEO, U.S. businesses with immediate effect. The previous resignation of a senior executive was in December 2015, when the then CEO of SingPost, Dr Wolfgang Baier, unexpectedly quit his post. After a year-long search, SingPost in December last year named Paul Coutts to the position of Group Chief Executive Officer and non-independent director. Coutts will join SingPost on June 1, 2017 from Toll Global Forwarding, where he was CEO since February 2013 in a global role based in Singapore. 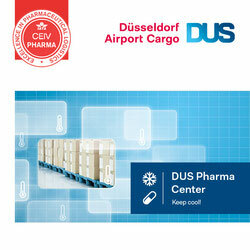 Marcelo Wesseler was appointed in his current position in 2014 after a two-year period as senior vice president of SingPost's e-Commerce activities. 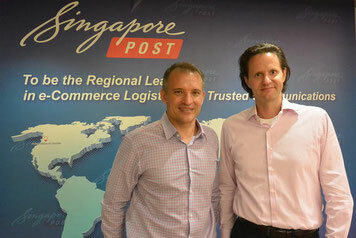 Prior to joining Singapore Post, the German national (Lower Saxony) was head of e-Commerce at RS Components Asia Pacific, which he joined after an 8-year tenure at Hewlett-Packard in Palo Alto, where he was responsible for development of their U.S. e-Commerce site and global direct consumer sales. Announcing his resignation, Wesseler said he will continue working at SingPost for the next three months to ensure a smooth internal hand-over. After that period, he said he would "start up a new venture,” but did not provide further details.